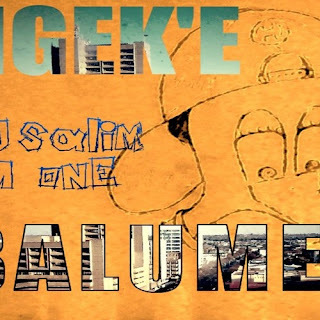 Bulawayo rapper M1 Da Emcee states that “Ngeke Balume” is a song created as a response to all the hate speech and music that has been showering on the Bulawayo rap scene ever since the 2015 Zim Hip Hop awards which saw Bulawayo artists and dancers, a DJ and a journalist take accolades in their respective categories. Many have claimed that Bulawayo did not deserve most of these awards. This song, released on the 29th of February, is here to clear the air on how much the average Bulawayo Hip-Hop artist or representative has to put in terms and of work and grind. “The hustle is real out here and having someone come out and claim that our city is asleep yet some artists from this side have become household names is pretty absurd if I should say the least. This track isn’t just made as a response to those false claims, but also it is musical in its presentation, the beat and vocals are on point. The chorus is catchy and looks to be the next sing along. We are proud musicians and proud of our city. We are in now and we send big shout outs to the preceding artists that have opened doors for the rest of us.” said Chalton also known as M-One Da Emcee, part composer of the track. Ngeke Balume is the first single of a compilation by DJ Salim that will feature upcoming talent from in and around Bulawayo. Like on Facebook: Prolix Ent.